The most innovative study guide for the RD Exam! 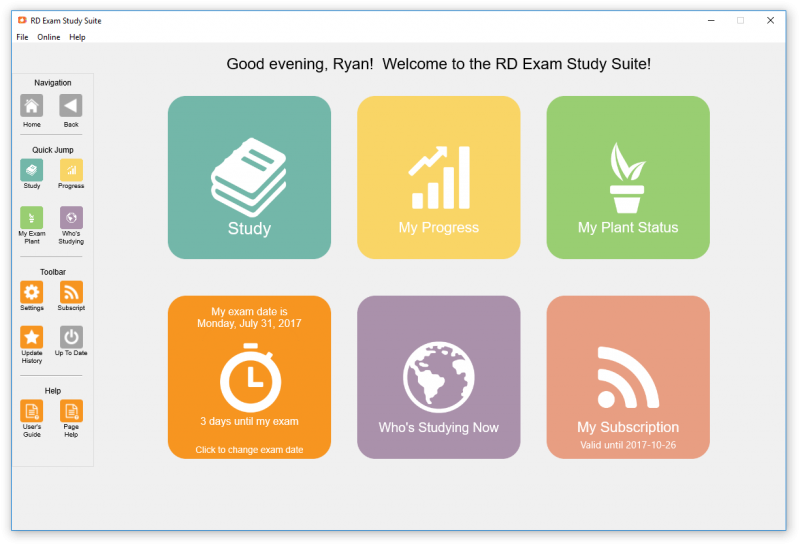 RD Exam Study Suite – Includes 3 months of free updates! 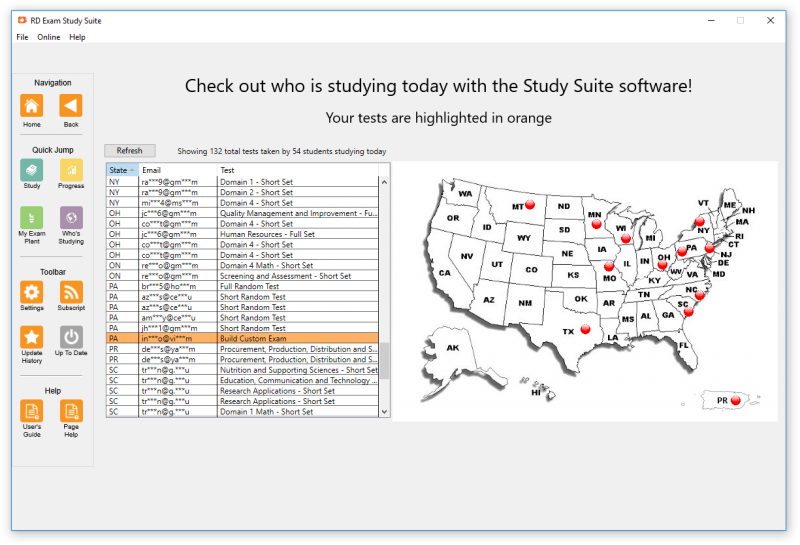 What is the RD Exam Study Suite? 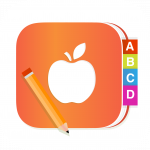 The most advanced study tool for nutrition students preparing for the Registration Exam for Dietitians! 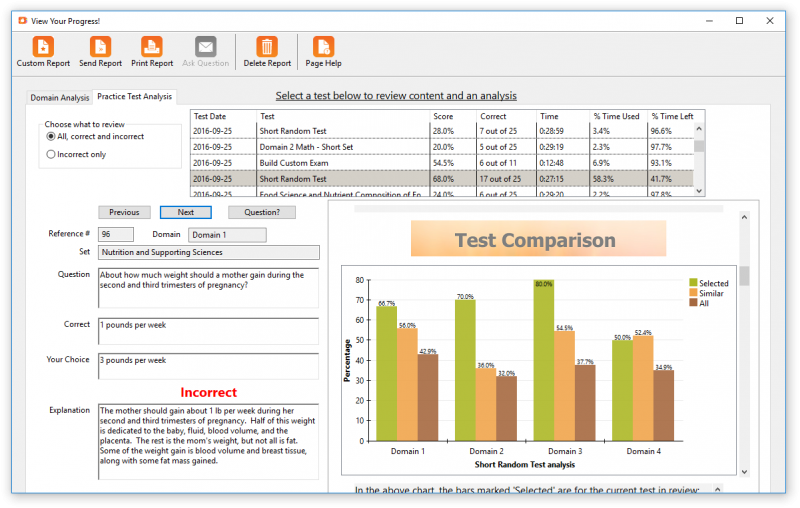 All Visual Veggies Software applications are created entirely by a Registered Dietitian! 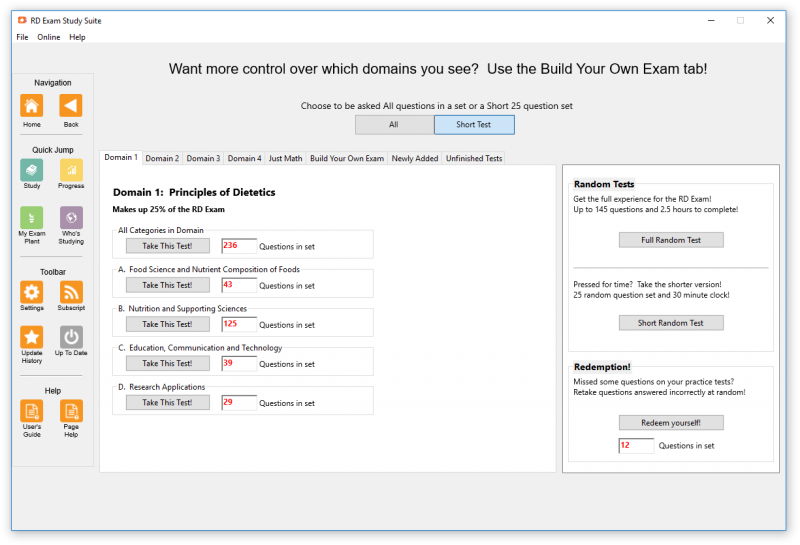 Take a different full practice exam each time with random questions. 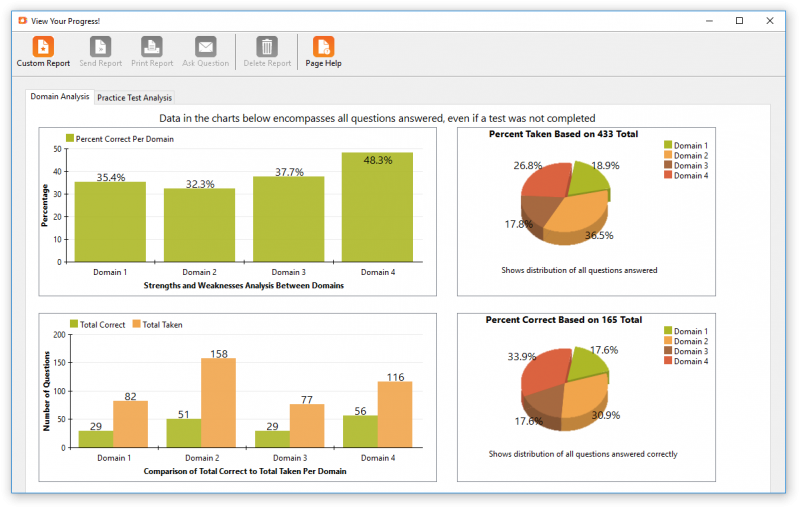 The “Full Random Test”, allows the user to take up 145 questions in two and one-half hours. 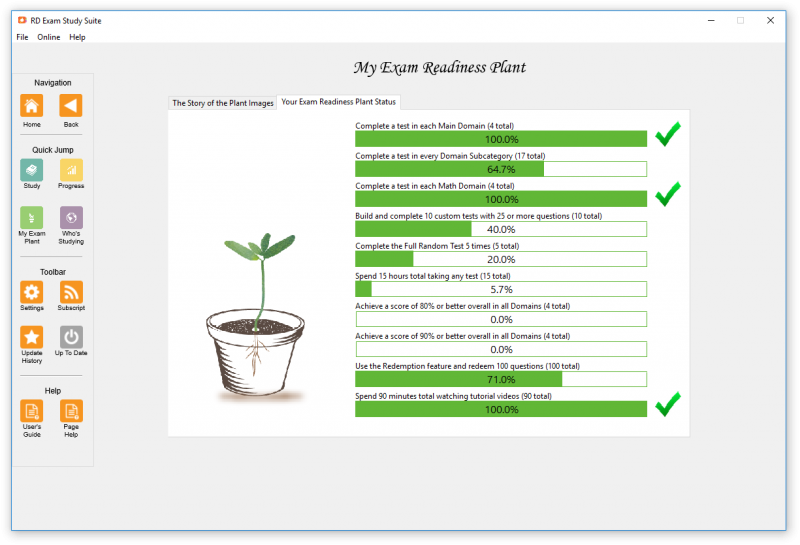 A minimum of 125 questions must be answered, and the practice exam shuts off after the user reaches a passing score – Just like the actual exam! What is the 3 months of updates? Is there a limit of use? There is no time limit of use with the software. Once you have it installed on your computer, it is yours indefinitely until you decide to uninstall it. With the new activation of the software, you will receive updates for free for the first 3 months. Should your update subscription expire, you may continue to use the software without any limitations, but you will not be eligible to receive any future software updates. An Update Subscription Code may be purchased at any time, regardless if your current subscription is valid or expired. Entering an Update Subscription Code into the software with a valid subscription will simply just extend your expiration date by 3 months. What is the backup flash drive? Do I need to purchase one? Backups are available on a flash drive. While it is not required, it is recommended for customers who purchase the online download to safeguard their purchase in the event of a computer crash. Customers who purchase the full-priced software on a flash drive do not need to also purchase a backup, since this may be used to reinstall the software. Please note. Having a backup flash drive or the full-priced flash drive does not make you mobile. In other words, you won’t be able to plug the flash drive into any computer and use the software. The software may be registered to only one computer per license. The flash drive may be used only for reinstallation purposes. What is the difference between the Student Edition and the Academic Edition of the software? Student Editions are designed for an individual student who purchases the program on their own, are studying at home, and are made for only one user. Academic Editions are designed for colleges, universities, or other academic institutions where the plan is to install the software in a computer lab for multiple users to access the software. 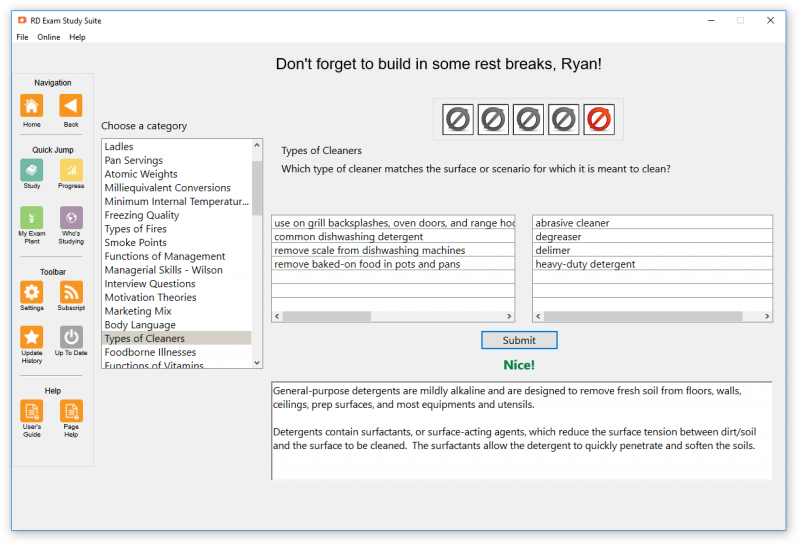 If you are a student purchasing the program for yourself, or are an educational institution purchasing the software for your students to install on their individual computers at home, go for the Student Edition. 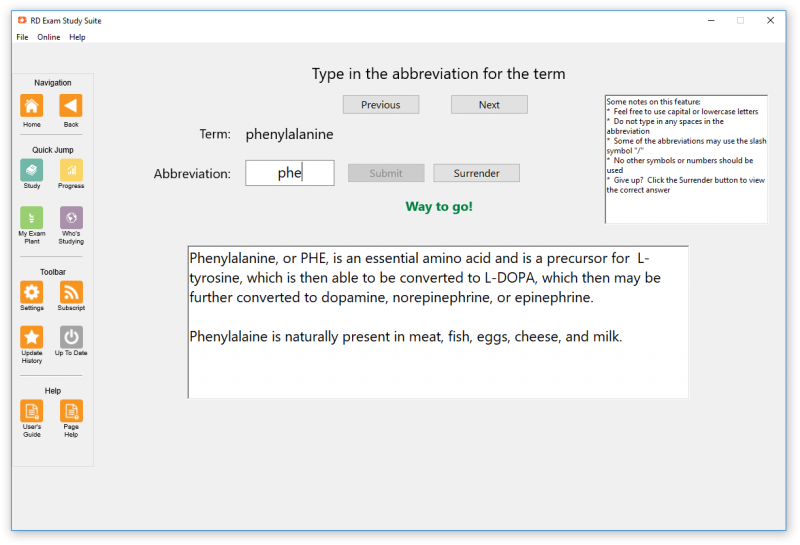 If you are an instructor or purchasing manager of a college, university, or other academic institution and plan to install the software on a shared computer in a lab, opt for the Academic Edition. Why is there such a huge difference in cost for the Academic Edition? The Academic Edition is more expensive because this edition allows for more than one student to use the software per license. The Student Edition may have only one user per license. Unregistered software may be returned within 60 days of purchase for a refund. If you purchased the wrong software title, you may return the unopened, unregistered software for an exchange. No additional charges apply. If we send out the wrong software title, you may return the unopened, unregistered software for exchange. In this event, we will issue you a 5% refund for our mistake. If your Visual Veggies Software package arrives damaged, please send this back for a replacement. If the software has been registered, no refund or exchange will be granted. Recommended if ordering download. Registration code not provided. RD Exam Study Suite and DTR Exam Study Suite Have Arrived! Introducing RD Now Flash Cards!